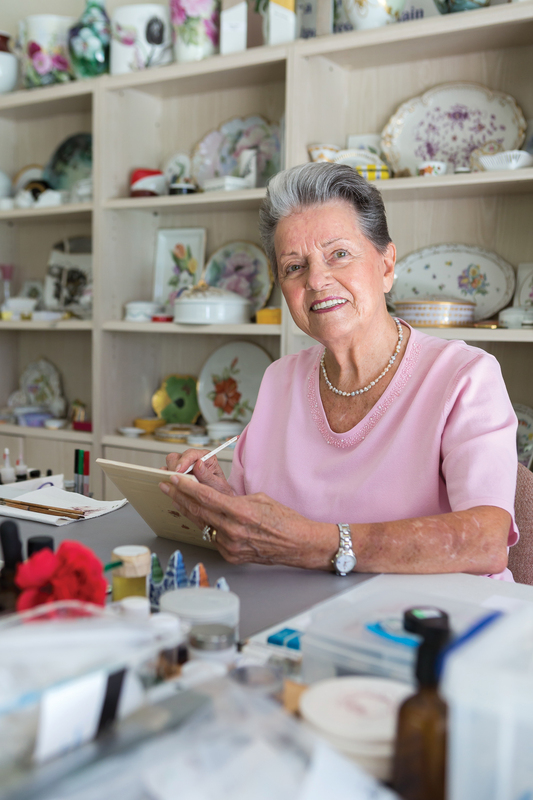 If you’ve purchased or even just admired any hand-painted porcelain plate, vase or figurine over the past 20 or 30 years, it may have been the work of 83-year-old Wilma Manhardt that attracted you to the piece. Wilma has been hand-painting everything from stylish home accent pieces to bric-a-brac since she was a young girl growing up in Dusseldorf, Germany, where her son now runs the porcelain art business she opened there before moving to Florida in 1989. Wilma’s appreciation for detailed craftsmanship extends beyond that used to ornament knickknacks. It is, in fact, one of the reasons she recently began looking for a new dentist after some of her old dental work began to show signs of aging. “Some of the work I’ve had done over the years was not done very well,” Wilma confides. “And some of it was just starting to look old, so, I started looking for a new dentist. And I found one, but the employees there were always changing, and I didn’t like that. The dentist Wilma read about in the article is Joseph H. Farag, DMD, of Port Charlotte Dental Care. Dr. Farag practices a full scope of general, cosmetic and implant dentistry, and upon first examining Wilma, he confirmed her belief that she was in need of some updated dentistry. “I could see right away that she had not had anything updated in a number of years because she had a lot of old metal crowns, and the gum line was receding around many of them because you could see the metal margins,” Dr. Farag explains. “The good thing was that she had gotten a lot of good years out of that old dental work she had done. She just felt that now was the time to update it and make it look and feel better and she picked a very good time to do it. Updated dentistry gave Wilma a more appealing smile. “The reason is that some of the crowns, for example, had aged to the point where they were beginning to trap food and plaque around those margins. That makes the teeth harder to clean and leads to decay. “And the x-rays showed that there definitely was some decay in some of her teeth. There was also a little bit of decay surrounding some of the old patch fillings that had been done over the years. The most pressing issues existed in Wilma’s back teeth, but she agreed to have a complete restoration done that included restoring some of her worn out front teeth, the benefits of which would leave her with a much healthier, better looking smile. 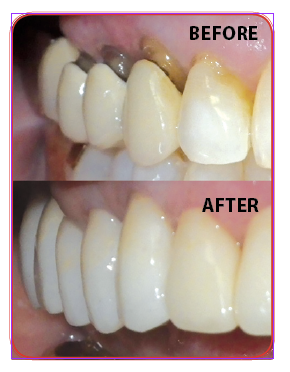 Dr. Farag began his restoration of Wilma’s smile by doing a full-mouth disinfection, which is a deep cleaning of the gums, the results of which create a foundation for stronger, healthier teeth. He then pulled the broken tooth on the lower right side. After pulling that tooth, Dr. Farag did a bone graft to prepare Wilma for an implant, which is a titanium root-shaped body that is surgically placed into the jaw bone. The implant supports an abutment and a crown, which is attached to the implant, creating a new tooth. Dr. Farag then tackled the task of changing out all of Wilma’s old porcelain-fused-to-metal crowns – 18 in all, including 12 on the top and six on the bottom – and replacing them with new zirconium crowns. Fashioned through a digital imaging machine used by his lab technician Bob at All Smiles Dental lab, zirconia crowns have become the gold standard of dental crowns. The advantages of the zirconia crowns, Dr. Farag says, far outweigh those made of other materials. “With the old crowns, the porcelain was baked over a metal cover, so there were two layers,” Dr. Farag explains. “But now, we mill these zirconia crowns out of a single solid block of zirconia, which is a much stronger material. “Zirconia is at least five times stronger than porcelain, and that allows these crowns to be very thin. For example, a 0.5-millimeter thick zirconia crown is actually stronger than a 1.5-millimeter thick porcelain-fused-to-metal crown. “The advantage that gives us is that we don’t have to cut off as much of the natural tooth as we used to in order to fit the crown over it. We can get a very strong and very natural looking tooth and keep more of the original tooth. “Zirconia is also very hard and very impact and wear resistant, so it won’t chip. With the old crowns, when the porcelain would chip it would leave little potholes where the metal would show through on the tops of the molars and at the margins around the gum line of the tooth. Zirconia is naturally white, but its appearance can be altered – or in the case of creating crowns, shaded – to match the color of a patient’s existing natural teeth. That leaves patients with a much more appealing and confident smile. Dr. Farag also used a zirconia crown to cap off the implant that was put in place of the broken molar he pulled from the lower right side of Wilma’s jaw. The results, Wilma says, are as beautiful as some of the plates, vases and figurines she paints. Dr. Farag says he’s not surprised with Wilma’s response. “I was always confident this would prove to be a good experience for her,” he says. “I knew that the dramatic change from the old metal crowns to the zirconia would make a tremendous difference in her smile and it really has brightened it up a lot. Janice Valmera has always had a rather high tolerance for pain. 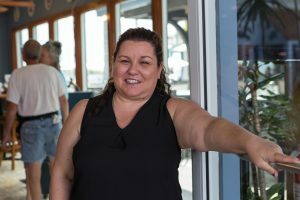 It’s a trait that has served the Punta Gorda resident and local restaurant manager well over her 47 years. That trait met its match, however, this past February when one of Janice’s teeth became abscessed. Being the trooper that she is, Janice attempted at first to fight through this pain as well. For several days she took TYLENOL® or Aleve®, particularly before she went to bed, in the hopes that it would at least allow her to sleep through the night. That attack plan worked for a day or two, but when the pain refused to subside Janice’s husband told her to pick a dentist associated with his health care plan and make an appointment. The dentist she chose was Dr. Farag. “I probably should have gone to see him a lot sooner than I did,” Janice relates. “I’d been dealing with some gum issues and some toothaches for about seven years, but I was always too busy to really do anything about it and kept putting it off. disease that had caused it were by far the most pressing. Dr. Farag began his treatment of Janice by first prescribing Amoxicillin to help rid her of the abscess. He then suggested Janice undergo advanced laser assisted periodontal therapy using the LANAP® protocol to rid her of her gum disease. LANAP, which stands for laser-assisted new attachment procedure, is the only FDA-approved two- to three-hour-long periodontal treatment in which the entire gum line is treated by making three passes across the gums with a special dental laser and sonic equipment. During the first laser pass, the energy from the laser kills any bacteria in the gums, vaporizes the diseased gum tissue and dehydrates the tartar on the tooth, making it brittle and easy to remove. This is also the step during which the diseased lining of the tissue is removed. During the second phase, the tartar is removed with a vibrating fine-tipped ultrasonic instrument, while the pockets are flushed with an antimicrobial substance that stops the growth of new bacteria. Finally, during the third pass, an antimicrobial seal is created that prevents re-infection and releases growth factors from blood cells that help regenerate the attachment between the gums and the teeth. The entire procedure, Dr. Farag emphasizes, is painless. So is its aftermath. “The great thing about the LANAP procedure is the speed of recovery and the tissue response,” Dr. Farage educates. “It doesn’t take weeks or months. It literally takes just a couple of days, which is truly amazing. “When the bacteria or the tartar or the insult that is causing the inflammation and infection is removed from the tissue to the point where it’s sanitary, which is what the laser does, the tissue heals ever so quickly. “The analogy I use with patients is, say you cut yourself while working in the garden or just because you work with your hands a lot. You get that cut and if you don’t clean it and don’t put Neosporin on it, you’ll go for days and it will burn and get irritated. “It will eventually heal but it will take a lot longer and you’ll feel it. But if you get a cut and you clean it, sanitize it, disinfect it and routinely put an antimicrobial on it and keep it clean, it will heal very quickly without pain and without scarring. “That’s what LANAP does. It cleans, disinfects and sanitizes, and the body just heals up really quickly afterwards, which is something that is very hard to do in the mouth because our mouths are not a clean environment. They’re filled with bacteria. Janice says she was initially a bit apprehensive about having the LANAP procedure done, her fear being that it would be a long and painful process. She was pleased to discover that it was in fact quick and painless. “It was very easy,” Janice relates. “They numb up your gums, so you don’t feel anything once they’ve given you the Novocaine, and most of the Novocaine shots were painless as well. The only thing more incredible, Janice notes, was the result of the LANAP therapy. She says her abscess began to clear up within a few days and she felt an immediate sense of relief from the laser procedure that has continued for months. 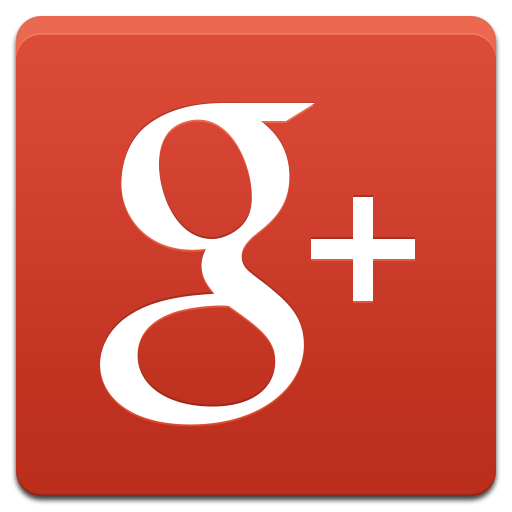 “My gums used to bleed a lot whenever I would brush my teeth and they were painful. I used to ignore the pain,” Janice reveals. “But now, there’s no more bleeding and no more pain. My mouth is a lot healthier and I’m working to keep it that way. “Dr. Faraghas taught me a lot about how to properly take care of my teeth, and I’m following his orders. He’s really a very compassionate, caring dentist. I actually look forward to going to see him now, because the work he does is so good. Wilma says she came to realize the very same thing after making Dr. Farag her dentist. “He’s very nice and he makes you feel really comfortable,” she says. “I remember after he first started to tell me about all the work he was going to do and why he was going to do it and what the benefits would be, I developed a very strong sense of confidence in him. “I could tell he knew what he was doing and that there weren’t going to be any problems. And I really like the fact that whenever I go there, the same nurses and hygienists are there and that they’re always so welcoming and friendly. “When I see the same people working there it tells me they really like working there. It’s like a family working together to help you feel better. That was a big thing for me.